75 days. 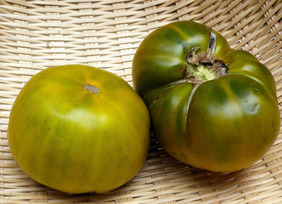 (Indeterminate) OSSI variety [Selected from Cherokee Purple tomato by NC grower Craig LeHoullier.] 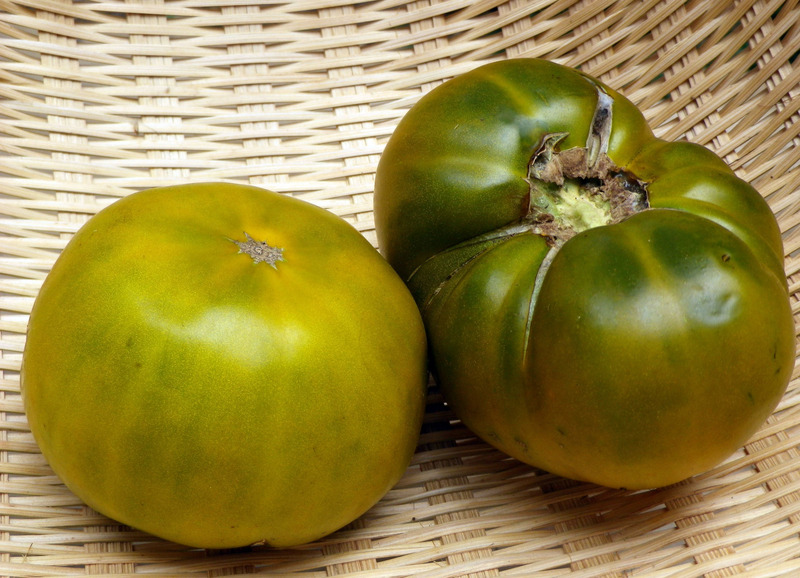 This is one of the best tasting green tomatoes anywhere. 8-12 oz. fruits with green flesh and green-yellow skin with amber to red color on the blossom end. Pkt.